Why is My NJ Court Date So Soon After my DUI Stop? If you were arrested and charged with drunk driving in New Jersey, you might be concerned that the court date, and mandatory appearance, are so soon. It is not unusual for that date to be less than a week after the stop. 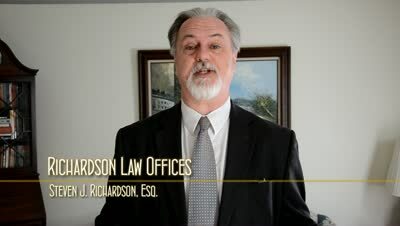 This may have you nervous and worried that you won't have time to deal with this properly, that you might not have time to get a lawyer. Fortunately, that is not true. The court date on your ticket is not for a trial; it is for something called a "rights hearing." All those people charged with DWI in the days leading up to the hearing are brought in and read their rights on drunk driving. This is because NJ courts are mandated to resolve, as best they can, DUI matters within 60 days of the incident, the ball gets rolling right away. At this hearing, you will be told all of the penalties that you are facing for first, second, or third/subsequent violations, along with your right to a lawyer. This is usually done en masse for everyone, who are then excused from court for the day. A notice of trial date is then mailed to them. If you don't hire one soon, that 60 days can run out faster than you may think. And Don't Give Up the Fight! Considering what you face, if you have been charged with drunk driving, you need to consult with a lawyer. If you received the ticket in southern New Jersey, want to do everything you can to avoid conviction, and are ready to act, then call me immediately at 856-432-4113 or contact me through this site to schedule a free consultation in my Woodbury office. The consequences are just too great not to. Do I have the right to refuse to take the breathalyzer test in a New Jersey DUI/DWI?